If you do not want to worry about maps and routes, and you want to avoid any kind of setback, we offer you the chance to rent a tour driver, who is experienced at the wheel, as well as being both bilingual and an expert tour guide. On many occasions, setting up a trip means a few headaches along the way, choose which places you would like to visit and have everything planned on time. That is why in Anser Europe, we offer you a perfect alternative for taking care of these little things, as well as making the tourist experience both a complete and happy one. Having an experienced person who knows the best routes. Travelling comfortably without worries or unexpected incidents. Enjoying the tourist experience 100%, making the visit much more enriching. The experience of the tourist driver that we offer you in Anser Europe guarantees that you make the most of your trip so that you can enjoy your holiday without any hiccups. Imagine opting for your own travel routes, pointing out on the map the places you want to visit and only worrying about enjoying the views and the trip. All this and much more are possible with the car rental service with a driver for tourist visits from Anser Europe. 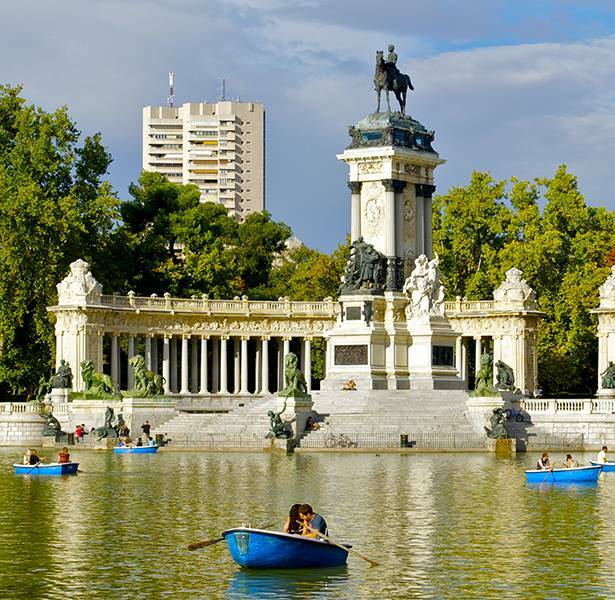 A service that will make it possible for you to get to know Madrid and its surrounding towns. Enjoying this tourist experience done by an experienced tour operator, specialised in this type of driving is without doubt the most comfortable and easy option for travelling, since it allows you to plan a custom-made trip, and at the same time, it will give you the possibility to optimise your time by forgetting about annoying parking situations or possible problems in your vehicle. Cities around Madrid, such as Segovia or Toledo, will no longer be a mystery with our tourist routes. Our drivers will always adapt to both your schedules and needs, designing a unique route to take you, drop you off and then pick you up where you prefer. With the help of our tourist driver, the most important thing will be you enjoying your trip to the fullest. Contact us and receive the information without obligation. Our car rental service with a driver in Madrid will allow you to get to the tourist places you want, avoiding problems in your vehicle or unnecessary losses of time during the journey or when in search of a parking place. In Anser Europe, we can get you to all the important places that you must visit through the most efficient route and with all the cultural information you need so that you can enjoy the closeness of the experience as much as possible, as well as enjoying custom-made interurban tourism which is fully adapted to your schedules.